We serve a variety of soups, sandwiches, and quiche for brunch and lunch at Barn Happy. Make sure you save room for our delicious pastries and pies. 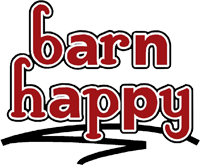 Barn Happy also provides both a full coffee and drink bar, sure to please!